Bradon is using Smore newsletters to spread the word online. Do you know how many animals are beaten, tortured, and forgotten each day? The numbers are to great to even say. They are millions. But the owners don't care. Not one bit. In the state of Alabama, you can not buy, trade, or sell this kind of catfish. These are three exotic pets that have been stuck in a cage for weeks. This lion is getting help by some paramedics because it it could not find food when the owner dumped it into the wild. 1. In a blog, a man said how having an exotic pet bird changed his life. The bird made messes everywhere. Also he beat the bird till it could not fly because it kept on making loud noses at night when the man could not sleep. So he dumped the bird off at one of those animal shelters. But the shelter would not take it in. So they dumped it into the streets, where the bird died not 2 days after. 2. John Boyko had three gators in his backyard who he called them his babies. But it was illegal to have reptiles in that city. So the city gave him a choice to either donate them to a zoo, or ship them off to another state. In the end he sent them off to a women in Pennsylvania where the rules do not apply to gators. 3. President Calvin Coolidge kept such a variety of pets that some considered the White House a zoo during his time in office. Among the regular dogs, cats and birds lived two raccoon's, which first lady Grace Coolidge reportedly walked around the White House lawn on leashes. They also had a donkey and a bobcat named Smokey, and they received many exotic animals. Exotic pets are very dangerous. If threatened, they could and will kill you. Such as like a Lion who is very protective of its cubs. So if you go near the baby cubs, they will pounce on you, and tear or rip you to death. Also you can get many diseases such as cat scratch fever and rabies. The exotic pet could have done nothing wrong, but the owner of that pet could have dumped it in a zoo or a sanctuary where the animal will deal with itself. But the zoo can not take care of all pets in America. Which in that case, the animal would have died because of lack of food. But in some parts of America, they are starting fundraisers. These are to help feed and shelter the exotic pets. But there are hundreds dying each day. Any member of the family Cervidae, species of coyote, species of fox, species of raccoon, species of skunk, wild rodent, or strain of wild turkey, from any area outside the state of Alabama. In most cases of animals who were exotic pets they die of being run over a car. Or if they are much more smaller, they die from running away from a predator. But also in other cases, they die a long and slow death of starvation. But when an exotic pet, you sometimes get food on a schedule, so when they are out in the wild, they can't get their own food because they were exotic pets. So they can't even get their own food. Owning an exotic pet comes with real health implications. 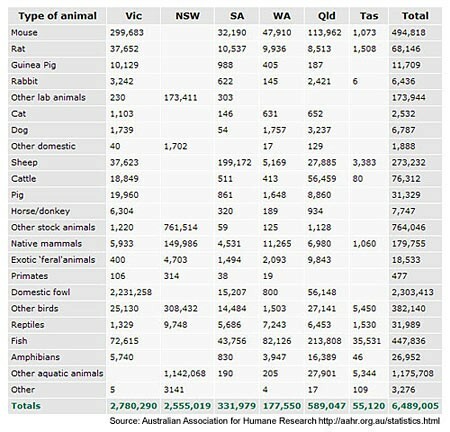 According to the HSUS, all reptiles and amphibians carry salmonella, and more than 74,000 cases of salmonella poisoning are linked to these pets each year in the United States alone, but there are other cases like the picture down below of Austrailia. Exotic pets like monkeys and African rodents carry viruses such as herpes B, monkeypox and rabies, all of which are highly infectious and fatal to humans. Did you know that 98% of all exotic animals held as pets die before they reach age 2? And did you know that it is legal to house these animals in cages just big enough for them to stand up and turn around? There have been countless investigations all revealing the same thing: there are no responsible owners. "Let's Not Forget the Birds." ASPCA. N.p., n.d. Web. 6 Feb. 2014. <http://www.aspca.org/blog/lets-not-forget-birds>. "Animal Planet." Animal Planet. N.p., n.d. Web. 6 Feb. 2014. <http://animal.discovery.com/tv-shows/fatal-attractions/lists/10-exotic-pet-stories.htm>. "Get The Facts:." The Dangers of Keeping Exotic “Pets”. N.p., n.d. Web. 6 Feb. 2014. <http://www.bornfreeusa.org/facts.php?p=187&more=1>. "Animal Planet." Animal Planet. N.p., n.d. Web. 6 Feb. 2014. <http://animal.discovery.com/tv-shows/fatal-attractions/lists/facts-exotic-pet-trade.htm>. "Exotic Pets “What the Experts Say”." Pet oNo. N.p., n.d. Web. 6 Feb. 2014. <http://petono.com/exotic-pet/exotic-pets-what-the-experts-say>.